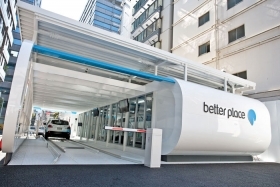 PARIS -- There's a strange disconnect surrounding Better Place, the company best known for its plan to extend the range of electric vehicles by relying on speedy battery swaps. Automotive executives are nearly unanimous in dismissing the idea. With the conspicuous exception of Nissan-Renault CEO Carlos Ghosn, rarely does an executive express interest. 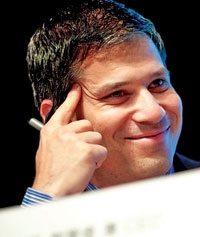 In an interview at the Paris auto show, Shai Agassi, the Palo Alto, Calif., company's founder and CEO, attributed his cool reception in automotive circles to "a lack of belief that something that big can happen in the industry." The new funding is being poured into Better Place demonstration projects in Israel and Denmark. Both government-backed efforts will set up nationwide networks for rapid recharging and battery switching. Ghosn's support has been crucial for each. The Renault Fleunce sedan, a purpose-built EV, will be the first vehicle using the network. Interestingly, though, Renault partner Nissan chose to use an enclosed thermal management system for the battery pack in the Leaf EV in the United States, meaning the car's battery cannot be swapped. Better Place's basic model is to replace the gas station, he said. Investors look at $3-a-gallon gasoline in the United States and figure their return on investment will be better in Europe, for example, where fuel costs twice that.